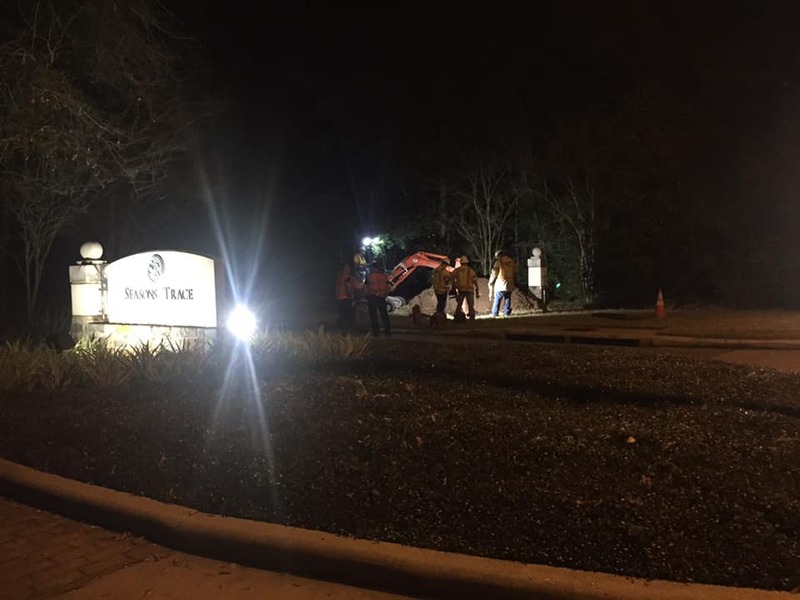 A contractor doing boring work at Player Woods and North Seasons Trace hit a gas line Tuesday evening, causing the shutdown of streets leading into and out of the Seasons Trace and Pepperdale neighborhoods located off of Player Woods just north of Woodlands Parkway. 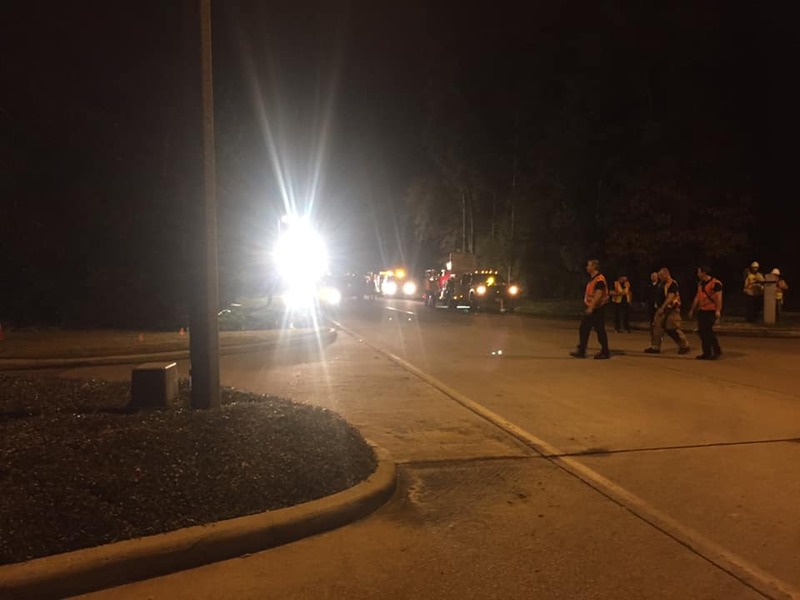 The Woodlands Fire Department, including its HAZMAT team, and Montgomery County Sheriff’s Office secured the area. 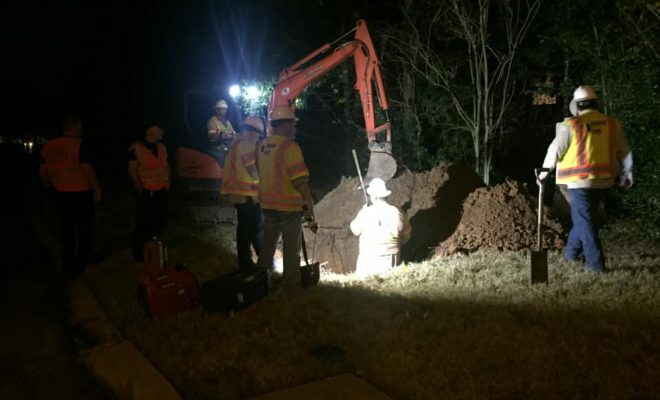 CenterPoint crews located the leak and isolated it around 10 p.m. They are in the process of repairing the line. Firefighters monitored gas levels throughout the evening to ensure it was safe for residents. No evacuation ever was issued and residents did not lose gas to their homes at any time. The streets first were closed to vehicle traffic while the area was secured, with residents allowed to walk to and from their homes. After the leak was isolated, Player Woods was reopened to through traffic. Note: Boring Technology consists of several methods each designed to cut a hole through the earth and install smooth, round pipe through the hole.